Newly-released emails show an exchange between the former Arkansas governor and a key senator. TALLAHASSEE — The behind-the-scenes role of former Arkansas Gov. Mike Huckabee in Florida's beach access furor is the subject of intense speculation among beachfront residents. Gov. 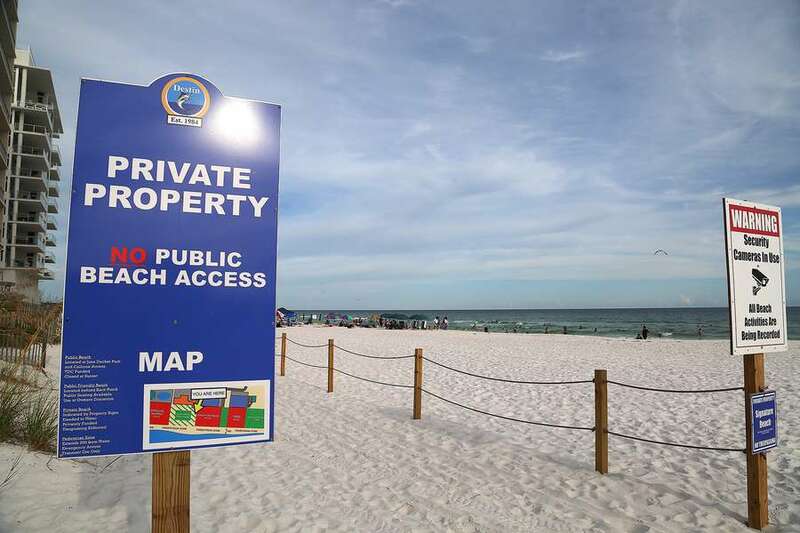 Rick Scott signed a law in 2018 that imposes new hurdles on Walton County in the Panhandle before it can continue so-called customary use of beaches. Scott later issued an executive order suspending state enforcement of the law he signed. Huckabee, a former Republican presidential candidate and Fox News commentator, owns a beachfront home in Blue Mountain Beach, an upscale community in Walton. An ally of Rep. Matt Gaetz, Huckabee recently hosted a fund-raiser for the Panhandle congressman. Huckabee is a man of strong opinions, and his view is clearer after an email exchange with Republican Sen. Kathleen Passidomo of Naples, sponsor of the Senate version of a beach access law (HB 631) that has stirred intense controversy. Scott skipped a planned campaign stop in Walton County on Sunday to avoid protesters who oppose his stand on the issue. 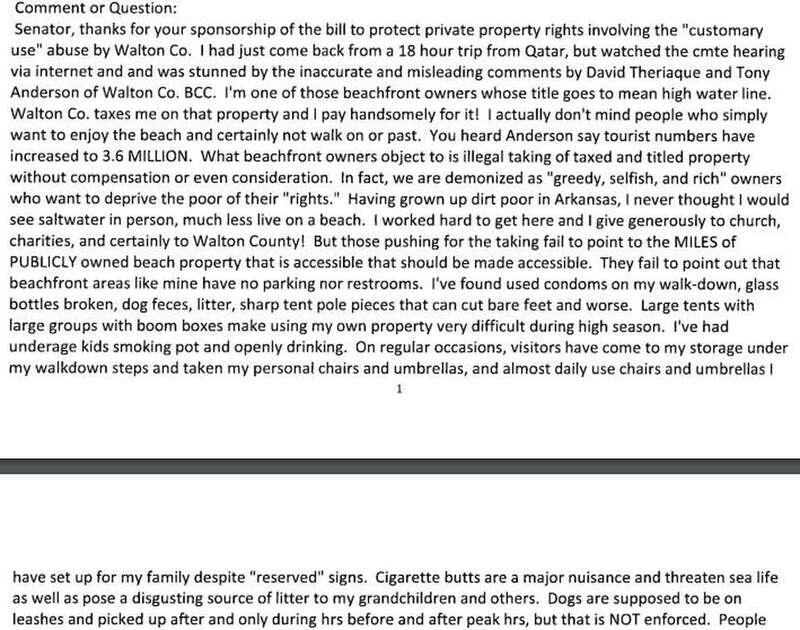 On Jan. 12, Huckabee wrote an email to Passidomo, thanking her for her sponsorship of a bill "involving the customary use abuse by Walton Co."
Here's more of Huckabee's email to Passidomo. In reply, Passidomo called customary use a "contentious issue" and said there has been a lot of confusion and misunderstanding about it. "What happened in Walton County seems to me to be the county acting as prosecutor, judge and jury, all for the county's benefit," Passidomo wrote. In response, Huckabee wrote back to Passidomo and said: "Either private property rights mean something or they don't. I'm genuinely thankful that you are fighting this battle." Santa Rosa Beach attorney Daniel Uhlfelder, a leader of Florida Beaches for All, a local group that wants to preserve beach use, said Huckabee's view is wrong. "It's not a private property rights issue," Uhlfelder said. "It's about the use of beaches."